Made from water repellent polyester material. 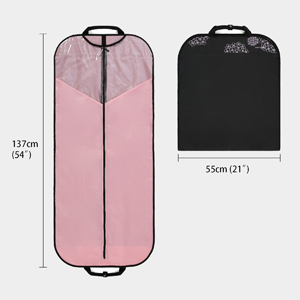 Durable handle makes carrying garment bag a breeze. Dimensions: When opened( 21.7 L" x 54 H "); When folded (21.7L" x 21H"). ; It can hang the wardrobe or folded up to suitcase. 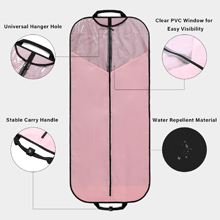 Full length sturdy center zipper for easily opening, clear PVC window allows you to see what is inside. The garment cover keeps your suits, wedding dress, uniforms, coats clean, neat and wrinkle-free. 2 magnetic buttons on the top and bottom for quick close when folded the garment bag. Idea for travel or home storage. 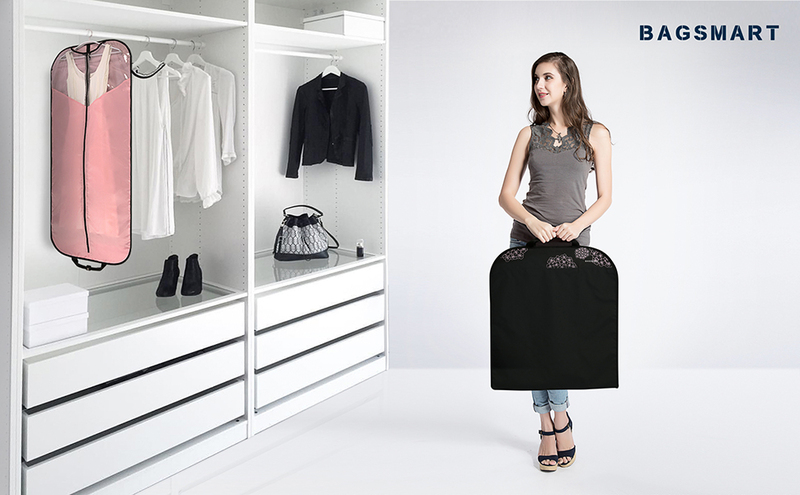 Dimension: opened: 21.7 L" x 54 H"; folded: 21.7L" x 21H"
The garment bag is long enough for shirts, dresses,suits and others. A full-length zipper allows easy removal of garments from the bag. Clear PVC window to see what is inside without opening the bag. 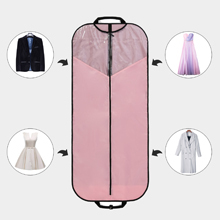 The garment bag keeps your suits, dresses, uniforms, coats clean, neat and wrinkle-free. It protects your clothing from dust, moths and insects. 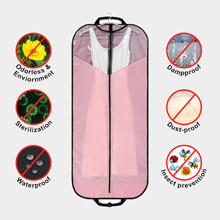 The garment cover protects your clothing from dust, moths and insects. Keep your suits, dresses, shirts, coats clean and wrinkle-free. 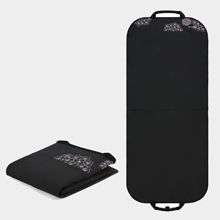 This garment folder makes transporting, sorting and organizing your suits a breeze. It can be easily folded up to store in suitcase or luggage.